Magnet tape is dying by the dumpster-full. Humanity has a lot of memories on tape. Video tape. Cassette tape. Even reel-to-reel tape. And there is one thing for certain, they are not going to last. Whatever your treasure, you should work to save it, now! My family had videos tapes going back to the 80s when it was mandatory that all events be video taped, no matter how awkward. Hidden in these videos are gems about our families, what they were like decades ago, grandparents we’ve lost, and much more. 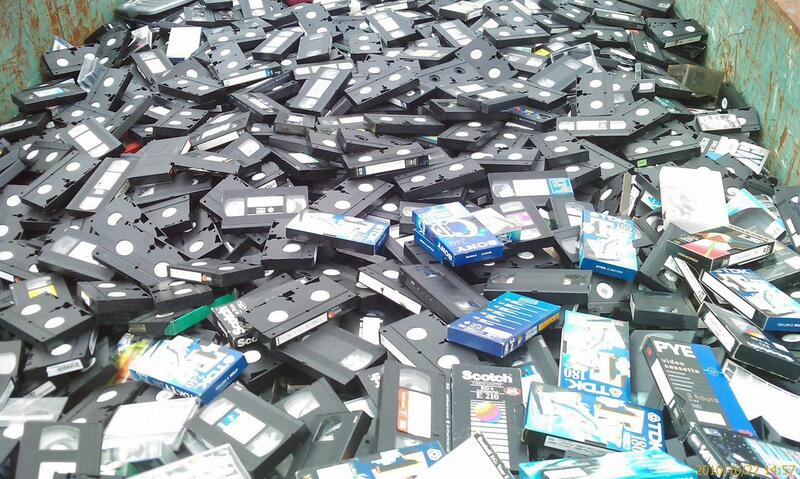 Years ago we stopped using VHS tapes to watch movies. Fortunately I decided to keep two VCRs just in case. I’m glad I did. We uncovered a box of VHS tapes. By now one of my VCRs has stopped working. With the remaining VCR I was able to digitize the videos but they are showing their age. The colors have drifted, there are bad spots on some tapes that come across as garbage, and some felt like this was their last hooray before the trash bin. Once digitized on my main computer, I trimmed the videos, tried to clean them up a bit, and saved copies of the videos to at least two hard drives that are stored in separate buildings. DVDs are not immune to bit rot, either. Remember all those discs you burned in the 90s? Have you stored them in a cool, dry, safe, dark place? No, well, they won’t last either. Our local Maceys grocery store offers all sorts of tape to disc transfer and negative scanning services. The cost isn’t terrible and they can save your memories. There are places like this all over the country. How much longer will they offer these services? A year? Five years? Ten? I’m convinced more than ever that we must save our memories to an active system that we migrate from computer to computer. It may sound difficult, but the alternative is to lose these things forever. Find your tapes and start digitizing.